Armed with an Octa-Core CPU, 6GB of RAM and a Mali GPU this rugged phone has enough processing power to handle demanding games and multitasking seamlessly. The 5 inch IPS display brings full HD resolutions and the contrast and brightness are such that you'll be able to enjoy a rich gaming and movie experience even in bright sunlit. Running on Android 6.0 Marshmallow OS with 128GB of storage as standard that can be doubled using the micro SD card slot so you'll have plenty of room for games, movies, music and picture. With two SIM card slots and huge 6000mAh battery and 4G network support across a number of frequencies, you'll get fast download connections even on the go. 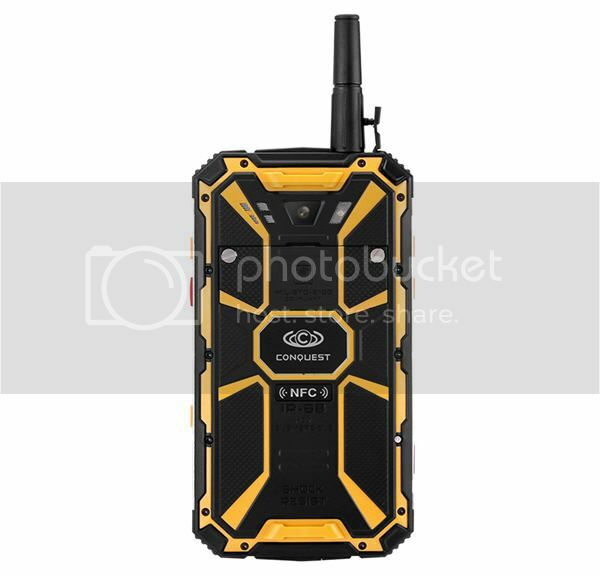 Even if you're without any mobile coverage the Conquest S8 Pro can keep you in touch with those around as it features a push to talk walkie talkie function. 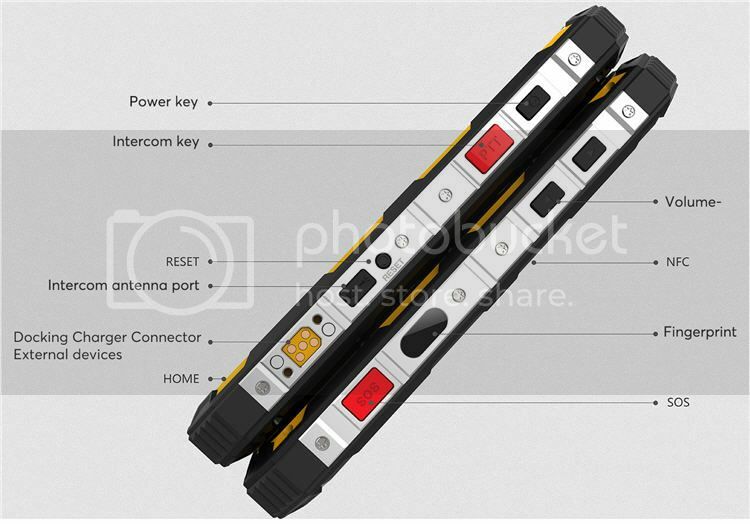 This will allow you to communicate with people up to 5KM away over the UHF 400 to 470MHz frequencies. 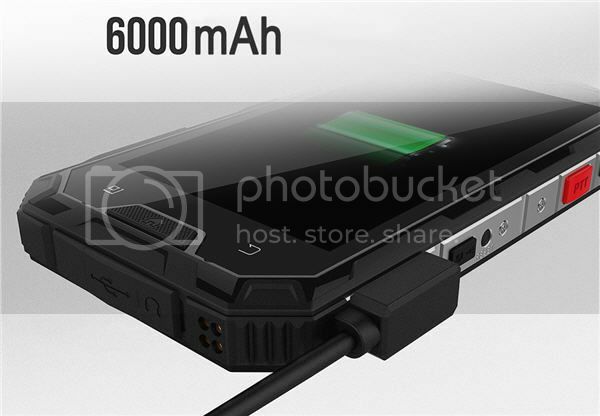 With up to 6000mAh of battery power this rugged phone can double as a power bank letting you recharge other devices while on the go. The phone also feature an array of sensors including temperature, barometric readings and also GPS and compass functionality. 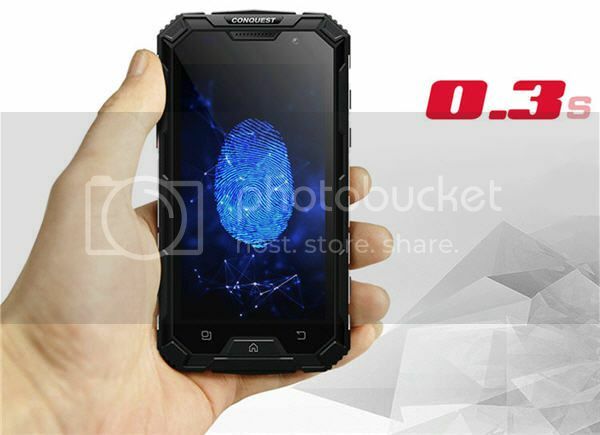 On top of all this, there is an infrared transmitter as well as FM radio, Bluetooth 4.0 connectivity, NFC, fingerprint scanner and a 13MP rear camera. So you're well equipped for every plausible need. and any attempts to modify the default OS will void the warranty.